(Warning. This blog is seriously boring, reflecting a wasted three and a half days sat around doing nothing). Without doubt the most frustrating part of our five months travelling to date, came when Nico, our G Adventures tour CEO informed us on a Friday night that the border between Argentina and Chile was closed because of heavy snow. It turned out it had been closed for several days but nobody had wanted to tell us. The result was to spend an extra day and try again for the Sunday. 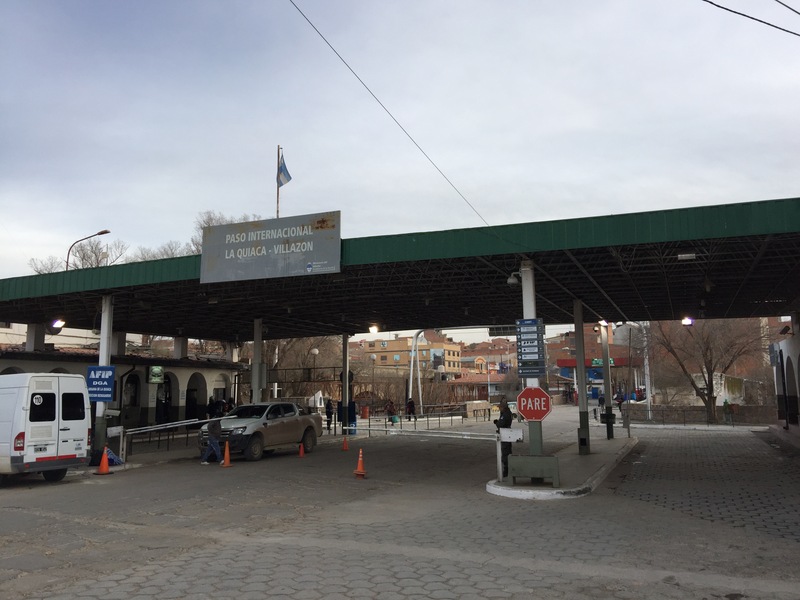 We reconvened on Saturday night to be told that not only was the border between Argentina and Chile closed, but that the border between Chile and Bolivia and the main national park had also been closed for a few days. The result was that the San Pedro de Attacama and Fauna Nacional Park leg of the trip would be abandoned and we’d have to spend all day Sunday in Salta, before leaving Monday on 6hr bus and 12hr train to reach Uyuni in Bolivia. The Attacama and Laguna Verde were two of the main reasons we’d booked this group trip, so we were disappointed and furious at being kept in the dark. A further round of poor communications and terrible planning from G Adventures on Sunday and it emerged that not only was our six hour bus leaving at midnight for the border, but we’d then have an eight hour wait before our 12 hour train journey from Villazon to Uyuni, meaning we’d arrive at around 3am in the morning and would waste a further half day trying to sleep. 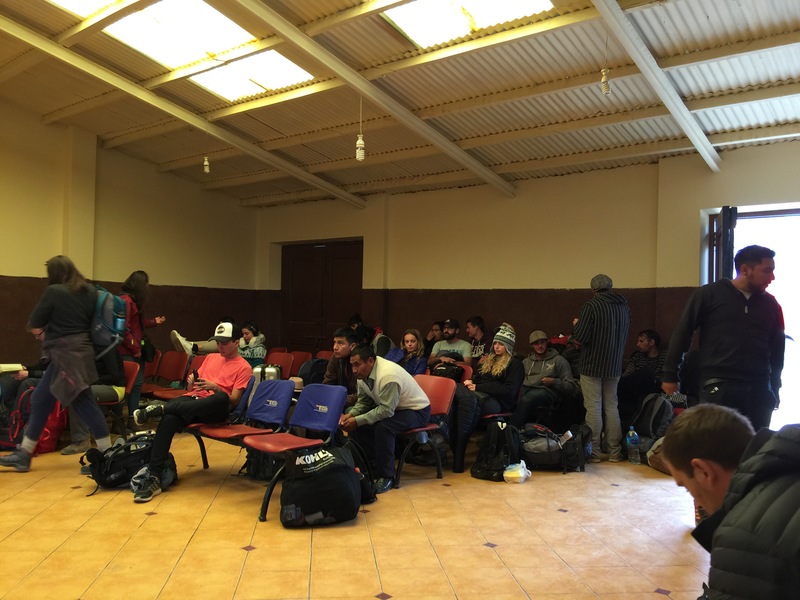 The first leg of our mammoth trek from Salta to Uyuni was a cramped midnight shuttle from the hotel to the bus terminal. It’s safe to say no one was in the mood for small talk as we loaded and unloaded form the shuttle and then loitered for an hour before getting on our coach. On the upside, South America inter city buses (coaches) are large, spacious and out National Express in the UK to shame. No one slept particularly well but as least it was relatively comfortable. 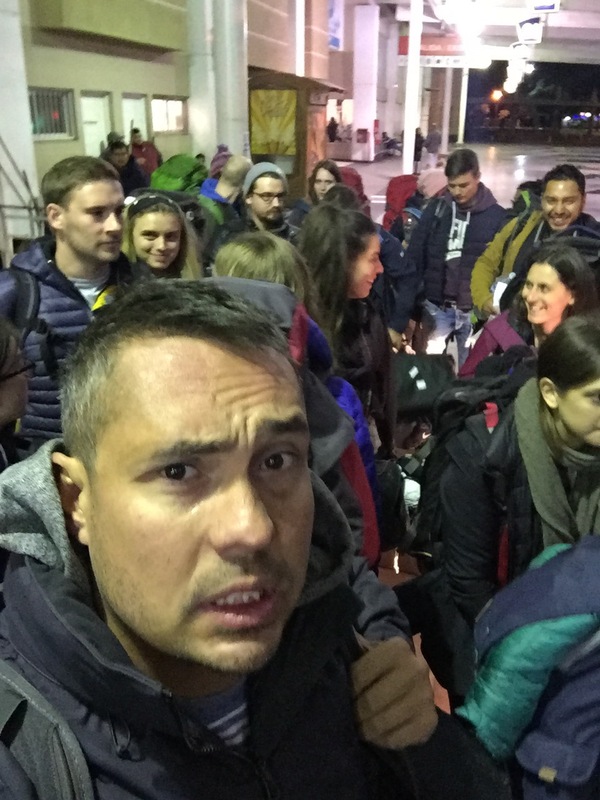 On arriving at the La Quicca we grabbed our bags and stopped briefly at a very cramped bus terminal, before climbing into clapped out old taxis with our bags on laps. The taxis dropped us near the border crossing, which was basically a small bridge between La Quica and Villazon. First we queued first to get stamped out of Argentina and then a few metres further on, we queued again to get stamped into Bolivia. 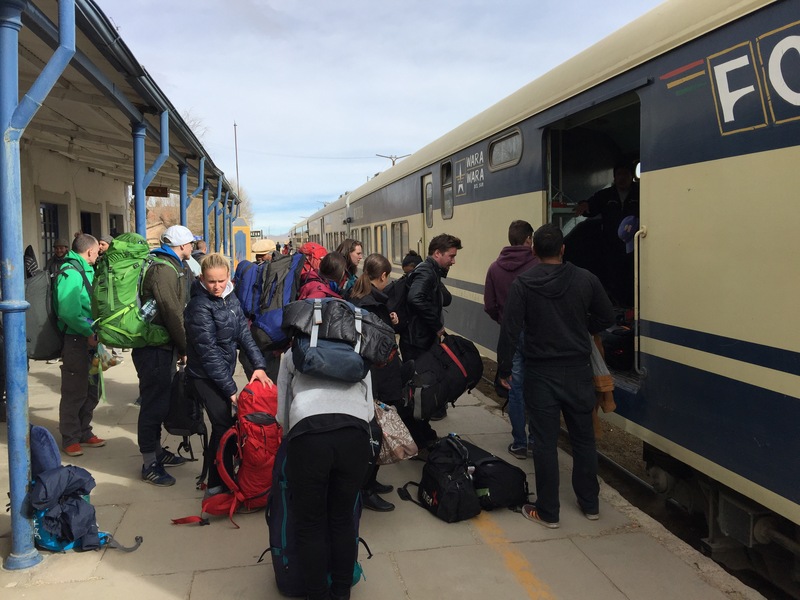 Once we’d all cleared onto the Bolivian we made out way to Villazon train station, where we left our backpacks for the eight hour wait until our train – Bolivia being an hour behind Argentina just made the wait longer! With time to kill we wandered around the town, exploring the markets, changing currency and investing in some thermals as the temperatures ahead would be sub zero at night. After eating a budget meal and purchasing altitude sickness tablets we made our way back to the train station. Another short wait later and we boarded the train and pulled out of Villazon. The 128 miles trip to Uyuni would take 10-12 hours so you can imagine how slowly we went. The rickety line meandered through narrow gorges at a snails pace, stopping occasional and ghostly stations with few or no passengers getting on and off. While most of the ladies on the trip opted to sleep, the boy’s headed to the food carriage and played cards all night – struggling most of the time against the violent swaying of the train. After the disastrous wasted days in Salta where we spent almost no time as a group, the 12 hours on the train gave the boy’s time to chat and bond. It was the only silver lining given the extreme exhaustion now setting in. After arriving at Uyuni our 4x4s that would be taking us on the Salt Flats tour, met us at the station in the pitch black and freezing cold and took us to our hotel. There was time for chatting or bedtime stories – it was lights out immediately before what felt like our trip was finally starting the next day….albeit six and half days late!